Current Projects: I am continuing my interest on the study of Filipino community in Japan, while also producing films and art projects on Filipino international migrations. 2009. Docot, Dada. On Identity and Development: Filipino Women Entertainers in Transit in Japan. In Nault, E. (ed), Development in Asia: Interdisciplinary, Post-neoliberal, and Transnational Perspectives.” Florida: Brown Walker Press. 2010. “Performing Naturalness:‘Virtual Scrutiny’ of Minorities in Japan,” Japan Studies Association of Canada Conference 2010, Centre for Japanese Research, University of British Columbia. 2010. “Asserting Self and Constructing Space: Filming the Performances of Filipinos in International Migration,” Workshop on Performing Space in Asian Film: Interdisciplinary Perspectives, Asian Research Institute, National University of Singapore, Singapore. 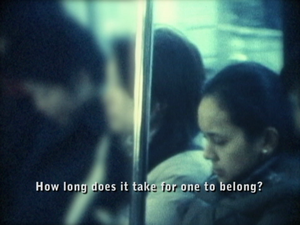 2010.“Filming the Everyday in Filipino Migration,” Red House Center for Culture and Debate, Sofia, Bulgaria. 2009. “The Visual as Research Material: Documenting Spaces and Everyday Performances in Filipino International Migration.” Dept. of Cultural Anthropology, University of Tokyo, Japan. 2009. “Advocacy Filmmaking and Nabueno/Bicolano Culture.” Ateneo de Naga University, Naga City, Philippines. 2008. “On Identity and Development: Filipino Women Entertainers in Transit.” Asia Association for Global Studies. Kobe Gakuin University, Kobe, Japan. 2006. “Cultural Diplomacy of Japan to the Philippines: The Case of Japan Foundation Manila and its Eiga Sai Program.” The First Philippine Studies Conference of Japan, Tokyo, Japan.